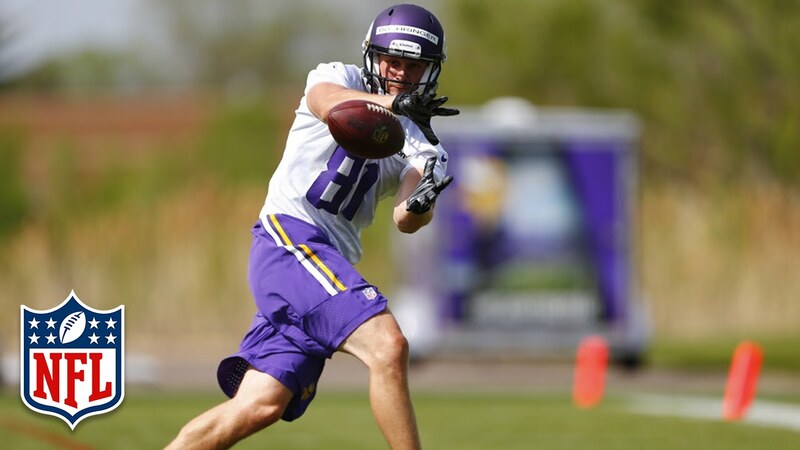 Vikings sixth-round wide receiver Moritz Bohringer is on the “outside looking in” for a final roster spot according to Andrew Krammer of ESPN 1500 Twin Cities. Bohringer was one of the best and most entertaining stories of the entire draft. The 23-year-old played for four years in his native Germany but has zero college football experience. 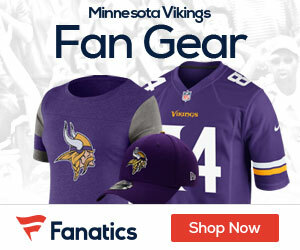 He joined the set of NFL Network on the third day of the draft and analyst Mike Mayock shouted out on national tv for Vikings head coach Mike Zimmer to “call me” after Bohringer said the Vikings were his favorite NFL team. And Zimmer did-the Vikings made Bohringer the 180th-overall pick in the draft and both Mayock and the TV audience cheered wildly. Boehringer (6’5/227) debuted in the German Football League last season, amassing 70 catches for 1,461 yards (20.9 YPR) and 16 touchdowns en route to Rookie of the Year honors. He created a ton of buzz at Florida Atlantic’s Pro Day in March, running an incredible 4.43 forty with a 39-inch vertical and explosive 10-foot-11 broad jump. Alas, all fairy tales must come to an end. Bohringer admits that he is struggling with the “mental” part of the NFL game and he had numerous drops during OTAs and minicamp. He will likely spend 2016 on the Vikings practice squad and continue his adjustment to both life in the NFL and in America. Bohringer does have the size and athleticism to play in the league, but faces one of the steepest learning curves of any recent entrant into the pro football universe. Don’t forget to grab a Bet365 bonus code and get in on all the great NFL action this season! Betting the Vikings or any other NFL game has never been easier – get in on the fun now!